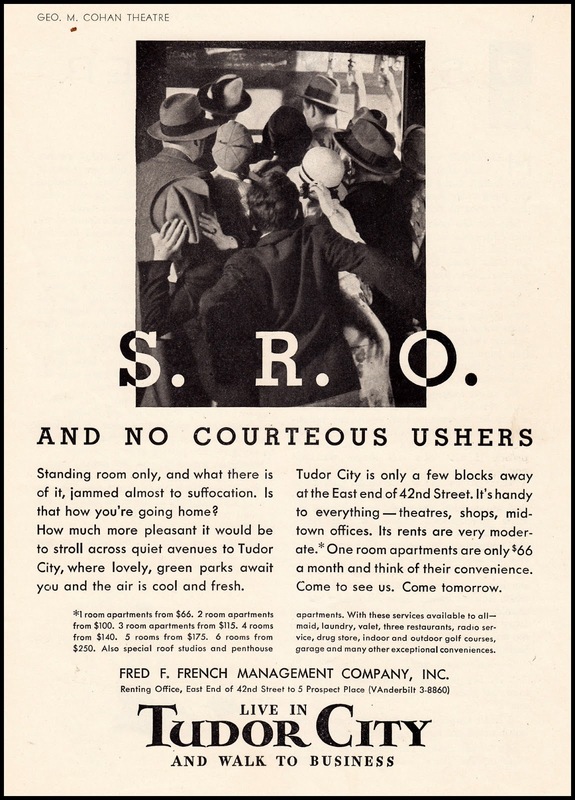 Though many see the New York City subway system as one of the greater achievements of modern metropolitan life, to the Tudor City advertising copywriter, the subway was a "wearying," "jammed-to-suffocation" enterprise to be avoided at all costs. Among other things, it was a major contributing factor to "New York nerves" that made its riders "start the day feeling tired" -- and who wouldn't be, given all the "clutching hands" and "elbows in your ribs" with "no courteous ushers" in sight. Following, a selection of advertisements that pounded the message home. Click to enlarge. about a British soldier who was hanged for murder.